AMD and Nvidia are the two biggest manufacturers of graphics card processors / graphics card unit (GPU) or graphics card chipsets. I often come across with this question that which company has the best graphics cards i.e. AMD or NVIDIA. Technically AMD and NVIDIA only make GPU or graphics procesor and the whole graphics card is manufactured by its licensed Partners or third party manufacturers. 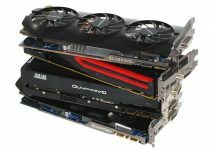 Some of the top graphics cards manufacturers of Asus, MSI, EVGA and Gigabyte. But in general we call graphics card as Nvidia graphics cards or AMD graphics cards based on the GPU present. Both Nvidia and AMD make GPUs for Gaming as well as Workstation Graphics Cards. 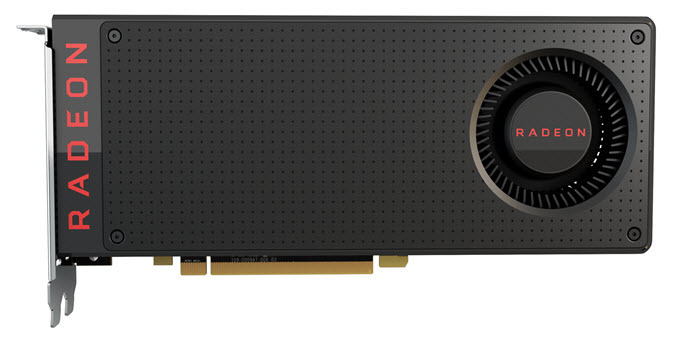 In general Graphics Cards from Nvidia are more popular as compared to AMD ones. Both AMD and Nvidia are rivals and are always in a competition to outsmart each other. So here in this post I am going to make a detailed comparison of AMD and Nvidia graphics cards based on their performance, features and price. Here is the neck to neck comparison of both AMD and Nvidia for graphics cards. Both AMD and NVIDIA are reputed and big companies that make high-end performance products. Nvidia mainly makes Graphics Processing Units (GPU), chipsets and SOC (System On a Chip) while AMD makes computer processors, GPU, motherboard chipsets, embedded processors. AMD is also a competitor of Intel in desktop processors category. So here, there is no question about which one of them is being better because both are reliable, trusted and offers great high quality products. Both AMD and Nvidia have graphics cards in every segment that include budget, mid-range and high-end segment. Personally I have seen that Nvidia has wider range of cards in budget and mid-range segment compared to AMD. If you want to build a budget gaming PC then you can find a lot a good cheaper graphics cards from Nvidia. If we talk about high-end category graphics cards then here also Nvidia is currently the king because it has the two fastest graphics cards in the world which are GeForce GTX 1080 and Nvidia TITAN X (Pascal). The top position can change time to time because sometime Nvidia is on the top and sometime AMD gets to the first spot in fastest graphics card category. The GPU architecture of both Nvidia and AMD graphics cards is entirely different from each other. The one thing common is that both have hundreds and thousands of multiple cores or multiple processing units in their GPUs. Nvidia calls them CUDA Cores and AMD calls them Streaming Processors. 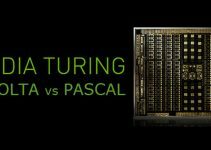 It should be noted that CUDA Cores and Streaming Processors are completely different from each in terms of working and architecture. We cannot equate CUDA Cores to Stream Processors in terms of numbers. You can read more about CUDA Cores and Streaming Processors from the link given below. 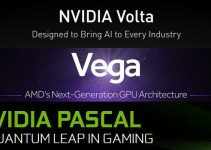 Currently the latest GPU architecture from Nvidia is Pascal and from AMD side it is Polaris. Both these GPU architectures deliver great performance and have lower power consumption. Also they are VR Ready and provide you the best Virtual Reality experience whether in VR gaming or in other VR applications. The gaming performance can only be calculated by comparing two individual cards and not the company as whole. If we compare two graphics cards of almost same budget from Nvidia and AMD then there is no way to tell which will perform better unless we run realtime benchmarks. Sometimes AMD wins and on some other day Nvidia performs better. This mainly depends upon which one has better and advanced GPU architecture. Also I have seen that more games are optimized and has better support for Nvidia graphics cards compared to AMD. Overclocking depends on the individual card itself and I have seen good overclocking potential from both Nvidia and AMD Graphics Cards. There are more overclocking softwares available for Nvidia Graphics Cards as compared to AMD. Some of the good overclocking softwares for Nvidia Graphics Cards are EVGA Precision, MSI Afterburner, RivaTuner etc. The latest Nvidia and AMD series graphics cards have lower consumption but here also Nvidia has an edge above AMD because the latest Pascal graphics cards from Nvidia consumes lesser power or has lower TDP compared to its AMD counterparts. For example two similar performing graphics cards GTX 1060 and Radeon RX 480 have TDP of 120W and 150W respectively. Here Nvidia graphics card i.e. GTX 1060 consumes 30W less power than the AMD Radeon RX 480. So in power consumption department I think Nvidia is a bit better as compared to AMD. I have seen that Nvidia Graphics Cards runs a bit cooler than the AMD Graphics Cards of same category. Well it is not a generalized conclusion but an observation. If you are not satisfied with the temperatures of your graphics card then you can always use a Aftermarket Graphics Card Cooler to make it run cooler than ever. Nvidia and AMD Graphics Cards come with great set of features that can make your gaming experience much better and far more enjoyable. Both cards support Multi-GPU technology on the same motherboard. In Nvidia Graphics Cards it is called SLI (Scalable Link Interface) and AMD calls is Crossfire. In this technology you can connect multiple supported graphics cards (maximum 4) on the same motherboard and can increase the gaming performance. Both Nvidia and Graphics Cards offers smooth and buttery gameplay by having their own variable refresh rate technologies. For Nvidia it is known as G-SYNC and AMD has FreeSync. Also both latest Nvidia and AMD graphics cards support dynamic clock speed technology or GPU Boost. It means the graphics card can boost its GPU frequency from base clock to higher clock known as boost clock when it needs more processing power or performance. In terms of mining cryptocurrencies like ethereum, zcash, monero and other altcoins, AMD is ahead of Nvidia for most of their graphics cards. AMD GPU architecture is more suited for GPU cryptocurrency mining compared to the Nvidia graphics cards. Generally AMD graphics cards have better hash rate compared to the Nvidia counterparts. It is a fact that AMD had problems with its older Radeon Catalyst drivers but this problem has been sorted out to great extent in the latest AMD Radeon Crimson Software Driver Package. You can also overclock your AMD graphics card with its new driver software package without needing any third party overclocking software. Nvidia on the other hand always had stable and better drivers that support many features and custom game performance settings. Latest Graphics cards from AMD and Nvidia supports all the popular gaming APIs that includes DirectX, OpenGL and Vulkan. The performance in these APIs depends on the GPU architecture and the optimized drivers. Both Nvidia and AMD Graphics Cards are compatible with almost all the modern day motherboard chipsets that includes Intel, AMD, Nvidia etc. The only requirement for them is the PCI Express x16 graphics slot and a good Power Supply. In terms of pricing I think that that Nvidia Graphics Cards are a bit more cost effective as compared to its AMD Counterparts. This may not be true all the time but maximum time you will find better deals on Nvidia graphics cards as compared to AMD Radeon Graphics Cards. There is no a clear winner in this case because both companies are capable of making powerful graphics cards and anyone can get on the top when they launch their newer technology. At times we have seen AMD Radeon Graphics Cards on top and for some other time Nvidia remains on the top. This makes it very difficult to have a clear conlusion and there cannot be any permanent winner. I personally do like Nvidia Graphics Cards over AMD ones because of their better pricing and wider range of cards in budget and mid-range segment. For any queries please leave a comment below to connect with me.